Artificial Intelligence is intelligence exhibited by machine. In Computer Science artificial intelligence" is applied when a machine copies reasonable functions that humans links with other human minds, such as "learning" and "problem solving or in other words software think intelligently, in the similar manner the intelligent humans think. In today’s era Artificial Intelligence (AI) has become great part of discussion, this fastest growing technology is coming in demand. Learning from past and giving intelligent results is exciting. These techniques can be applied in large range of problems and systems. Artificial Intelligence pursues many people’s interest about how to develop and apply deep learning. The development of AI started with the intention of creating similar intelligence in machines that we find and regard high in humans. The main goal of AI is to create expert systems which exhibit intelligent behaviour, learn, demonstrate, explain, and advice its users and behave like humans. Artificial intelligence is combination of both science and technology such as Computer Science, Biology, Psychology, Linguistics, Mathematics, and Engineering. 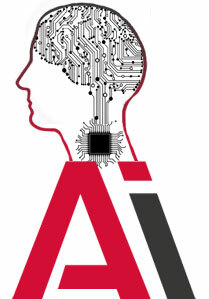 The main contributes of AI is in the development of computer functions associated with human intelligence, such as reasoning, learning, and problem solving.